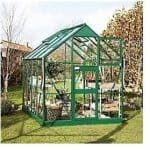 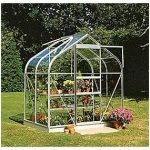 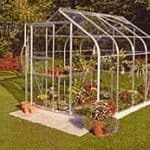 This 8 x 8 greenhouse has some excellent features that make it a clear choice for any gardener who is serious about growing a number of plants in exact conditions. 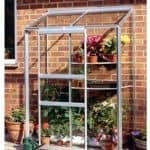 The single sliding door is very generous for access, and can also be positioned on either side of the building, so you have real practicality there. 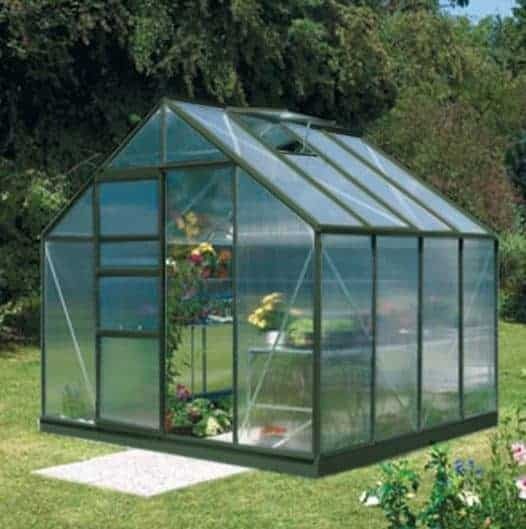 There is an integral gutter system that actively moves rainwater away from the plants inside the building. 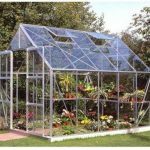 This keeps them safe and growing at the rate you want them to. 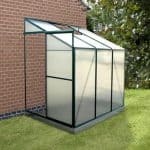 High eaves give you more head height, and room to move if you are growing taller plants.